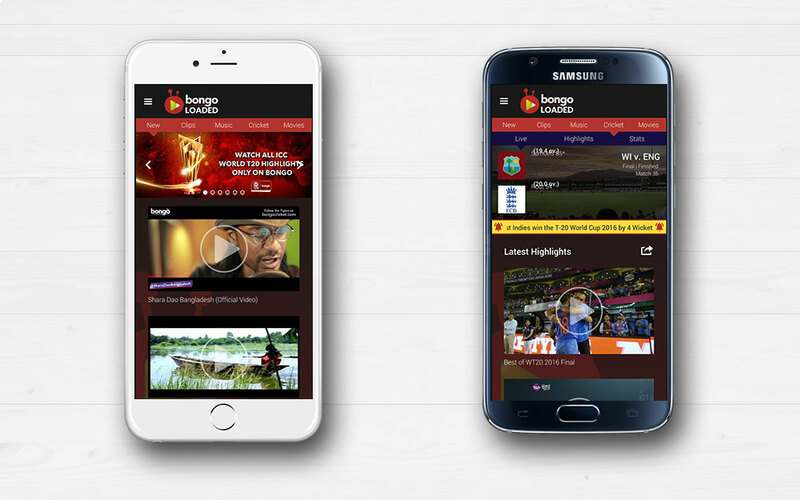 For BongoBD we have developed their Bongo Loaded on-demand entertainment & sports events app. The video-on demand is a Youtube like structure to show local video content, movies, clips, interviews. For the sports event, there is live streaming, statistics and player info. The live-streaming works when there is an event, when an event is over it will show highlights of that event. The app contains SMS subscription for sports and celebrity info. There is a dual language switch for all the content.